Steven Land dress pants are made with attention to the highest quality that you would expect with any clothing with the Steven Land label. 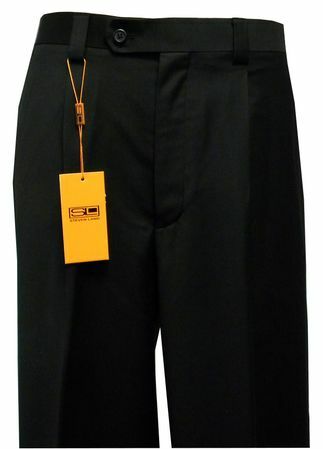 These solid black dress pants are slacks that feature a semi wide leg fit with a 10 inch wide bottom and come unfinished ready for hemming by your tailor. Made of fine poly/rayon suit fabric. Dry Clean Only.